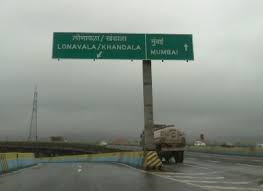 Years later, when I relocated to Mumbai, Lonavala got instantly refreshed in my memory and made its place on the top of my “places to visit” list. 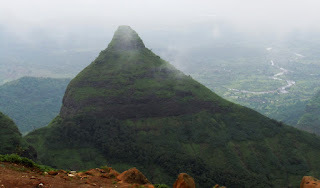 Since I had set my foot in Mumbai, everyone I met suggested to take a short getaway to Lonavala Khandala and enjoy the beauty of Western Ghats during monsoons. Fortunately, I got my chance soon. Owing to its proximity from Mumbai (It’s just a 96km pleasant drive away), Lonavala topped our “to travel” destination and one long weekend, we found ourselves up early to explore Lonavala. The drive through Vashi-Panvel was smooth and soon we found ourselves surrounded by the hills enveloped in greenery! 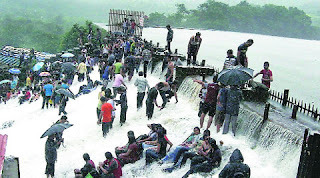 Awestruck by the breath-taking sight of the hills, tunnels and waterfalls, I couldn't have agreed more that Lonavala is the place to be during monsoons. 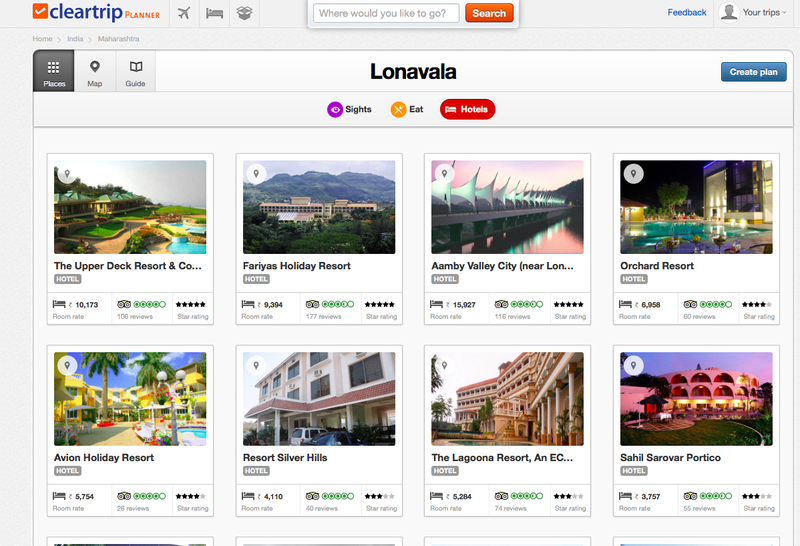 Lonavala boasts of many amazing resorts which make for a pleasant experience. It was a wise decision to compare Lonavala resorts using Cleartrip, for not only we got a resort that offered breath-taking view of the hills, but also offered us a good deal on tariffs. After a sumptuous fest and some rest, we set out to explore Lonavala, for we wanted to make the most of our long weekend. Located on Indramani River, Bushi Dam is a very popular destination among tourists. Tourists particularly enjoy playing with water on the steps. Swimming is prohibited since there have been many incidents of drowning due to inconsistent flow of water. One needs to check regarding timings as tourists are not allowed to go near the dam after 5pm. Also, consumption of alcohol is prohibited near the dam. Also known as Tiger’s Leap, it is another popular spot. Resembling the shape of a Tiger trying to cross the valley, Tiger’s Leap offers a beautiful view of the hills and valley. One can also enjoy the waterfall during monsoon seasons and the place is a perfect “selfie/groupie” spot. 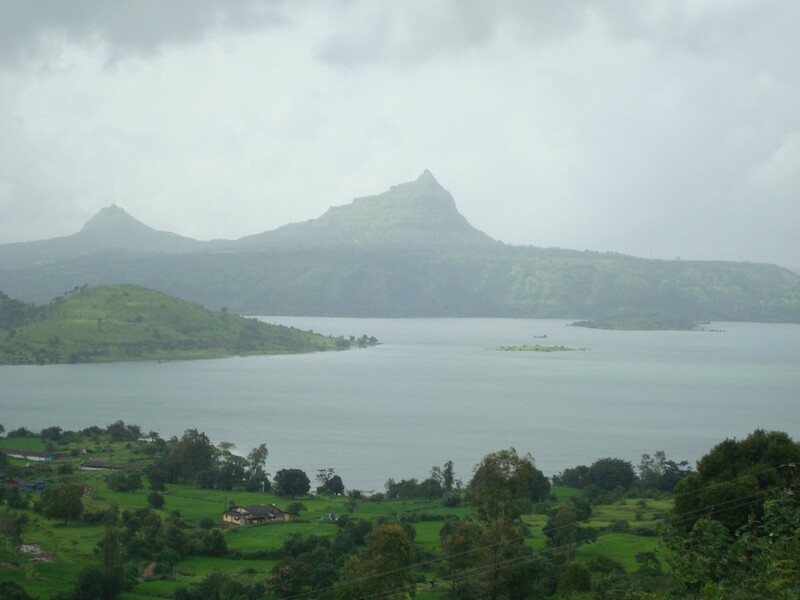 A perfect spot for the Love birds, Lonavala Lake offers a romantic experience in the lap of nature. The lake dries up in winters so one can enjoy it only during the monsoons. One can enjoy swimming or just watching nature and birds. This was a surprise last minute addition to our itinerary as our friends in the resort recommended it strongly. And I am thankful to them for this. These ancient Buddhist rock cut caves date back to 2nd century BC. 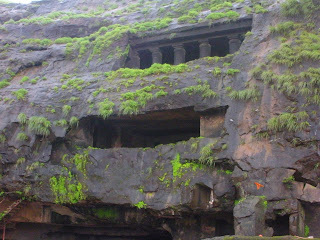 The cave complex with its intricate carvings are a shutterbug’s delight! No trip is complete without savouring the local flavour. 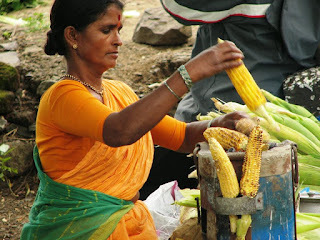 While one can enjoy fresh Bhutta near the waterfalls, Lonavala is well known for its Chikki and fudge. 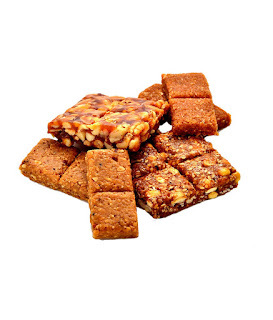 Available in many flavours, Chikki is a must buy. Maganlal and National are famous shops one can visit to explore many varieties of Chikki. 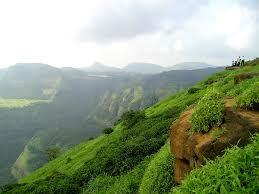 Offering a quick break from the busy life of Mumbai, Lonavala is indeed the ideal weekend getaway. The Skiros immediately attracted my attention. Was it a symbol standing pretty in the middle of a forest? Or a gateway to a mystical world? I didn't know. I kept looking at it for several minutes, playing my little guessing game. There was something mysterious about it, something magical that I had to find out. I jumped in to know about the magical world of the first storyteller. I don't know if I should be calling this a book review. For it's hard to do justice to this amazing display of creativity by Varun Gwalani. I hadn't read his first book. However, looking at the blurb, a part of me could relate to the protagonist and I immediately wanted to read more. Still wanna get an idea about the plot? Well, this is the story of a storyteller (no, we don't know his name). Living in a coastal village, all he had was the power of his stories which only his mentor, the old storyteller understood. After his mentor's demise, he began to feel a vacuum inside, for he was living in a world which didn't embrace his ideas. The storyteller had thoughts free like a bird, vast as a sky and fresh as the rain. However, the people around him loved to lead their lives the same way, day after day. They had rules that nobody challenged and monotony was glorified in the name of consistency. It is not a surprise then that the storyteller stood in the village as an odd one out, and was often mocked at for his silly, insane thoughts. When the river flows against us, we have two options - either to surrender and go with the flow, or to fight our way up. His ideas were succumbing to the disrespect of the people around him. He had no new stories to tell. Not willing to give in to those who never understood him, the storyteller decided it was time to ditch the people who only gave him hatred. Thus began his journey through the Skiro into the mystical forest, a journey to discover life, discover himself. He knew he might never come back. But at least it was better than not trying at all. More than being an escape from people and places, it was an escape from the mental block that attack most creative people. Just like the journey of life, the forest too gave him an easy option to give up and settle for less. But, in his battle with the demons of his mind, the storyteller had to risk and strive for what he set out for. The journey that transforms and rejuvenates him also brings him face to face with his fears, apprehensions and mental block. Whether the storyteller overcame these and how, and whether he was able to return from the forest is for the readers to find out. As I delved deep into the story, I realised this is not just the story of the story teller. This is the story of each one of us, for we all might have felt stuck in the "status quo" at some point in our lives. 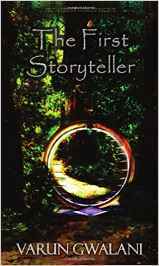 Like the storyteller, we too are travellers in the forest of life, embarking upon our specific journeys. While giving up is the easiest option, we have to keep moving ahead, for only then can we overcome the roadblocks. We too, like the storyteller encounter demons of our fears, the fairies of emotions, distractions that try to entangle and hold us. However, faith, confidence and focus can have us carve out our path in this forest. Once the distractions are fought over, the mind is cleansed, confident and open for seeds of fresh thoughts to be planted. The book is like a painting, each person will relate to something and will have a different takeaway from the other one. However, it is a one of its kind story that you don't get to read everyday. So, grab the book and discover your own path! Few editorial errors and misprints could have been avoided. The story takes time to build up the momentum and requires attention, so someone looking for a light read fiction may not be the target reader. A few days ago, as mom-in-law had just finished giving my son a bath, I noticed that she had left around 2 mugs of water in the bucket. For my 10 month old, bath time is fun time with splashing, toys and laughter. Usually, even when he’s done with the shower, we play a splashing game with the remaining amount of water. “Pour the little water left in bucket on him mom. He will enjoy!” I suggested. If art and history fascinates you as much as it does me, the sight of Acropolis on the cover will hold you for few minutes. There it is, in its full glory enticing readers to discover many more treasures hidden inside the book, in pen and paint. I must confess, the main reason why I picked up this book was my outdoor painting classes. Each morning, we would sit outside in the park and try to capture the tree in front of us in varied mediums - first pencil, then watercolour. So lost I would be in the detailing that often, these sessions left me with neck pain sitting still in one position, trying to capture the particular shade, before sun decided to play spoilsport by shifting it's position! In the process I learnt that art is the best way to immortalise any subject in our heart. "We can take a picture" you may say. But will it be able to keep afresh the perspective in your mind, long after? Will you be able to make that very emotion timeless? The answer is a No. Three years later, I still remember each crack, each crevice and the branch to the T, for I captured them in my heart through watercolour! And that's what fascinated me about this unique book. You may have read travelogues with fascinating travel stories; picture books that transport us to places in no time; art books showcasing masterpieces. But have you ever witnessed something that is an amalgamation of these all? This is the very factor that makes this book stand apart from your regular travel books. 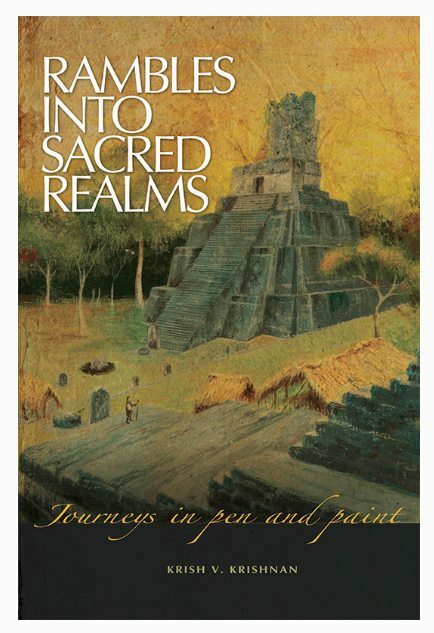 The author has captured thirty years of travel to arcane centres of worship, that don't feature in a regular tourist's itinerary. The painstaking efforts and determination is evident as we read about near escapes, adventures and uncomfortable situations. From being suspected of kidnapping his own son across the Israel-Jordan border, to being grilled by a suspicious Sri Lankan immigration officer, nothing could deter Krish's canvass and brushes. No travelogue is incomplete without references to culture and people. However, the book offers us an artist's impression of the same, keeping us engrossed in imagination. Each work of art captures the very essence of the place. You will feel the goosebumps looking at "Victim of a sacrifice" from Belize, shouting of Mayan ruthlessness; feel the heat looking at to the fury of vent at the Hawaii Volcanoes National Park; feel the sound of sacred chants in your ears looking at Manikarna Ghat in watercolour; witness the embodiment of resilience at Bethlehem; marvel at the magnificent world of Pharaohs at Giza; feel the legends come alive at Greece! While reading the book, the reader often finds himself lost in admiring the artwork and has to be quickly reminded that it is a travel book. The author has tastefully explained every location, every masterpiece. This is not just a book to be read. This is an experience to be felt. There is detailed explanation of artwork and choice of media, much to an art lover's delight. The choice of offbeat locations that speak of civilisations make the book stand apart. Passion flows in words, with unique and vivid descriptions. The author's meticulous research reflects in the detailed background for each place, which helps to transport us into that very era, imagining life in that very setting. Do I have to still say, I am in awe of all the Artwork in the book! An artist and a traveller, Krish focuses on landscapes and ancient monuments, using a variety of techniques, including scratchboards, watercolours, and acrylic mediums. Over the last thirty years, he has participated in several group and solo exhibitions and several of his artwork have won art awards. An alumnus of IIT and Harvard Business School, Krish heads a global outfit, that sees him shifting gears between Thai, Hindi, Thinglish, Hinglish and English. Having lived in or visited over 60 countries and published over 500 articles on travel and humour in various newspapers across the world, this is Krish's first book. This review is for WritersMelon. No matter where you go, there is one topic of discussion you will find common among parents - ensuring sound growth and development of their children. As parents, our children's health comes first to us. So you will find moms sharing best practices wherever they can get an opportunity - in the paediatrician's waiting area, school bus stops and even at parks waiting for their children. From school to college to job, not to miss extracurriculars all along, our children face competition at each stage and as parents, we want to ensure our children to never lag behind others. Every evening when I take my son to the park, there are moms sitting on benches, looking at their children. They may not say it but their eyes reflect a "is my child as active and healthy as others?"look. With both parents working, life is not a cakewalk for mothers too. Professional pressures occupy a lot of disc space in their mind. The hectic life coupled with children who are fussy eaters always keeps us wondering if our children are getting enough nutrition to grow. While it isn't advisable to get into the comparing mode, it is vital to keep a track of our child's growth milestones. Doing so will help us take remedial measures on time, in case our child is lagging behind in his/her growth and development. Paediatricians say that 3-9 years is a critical phase for children's growth. Here is a simple Growth Calculator that can help you know if your child's growth is on track. What if my child is lagging behind in growth? Firstly, you need to identify the root cause that is preventing your child from meeting his/her growth milestones. "As a mom, I feed my child healthy food. Then why is s/he still lagging behind?" one may ask. We may think we are doing everything right. But at times, we may be just loading our child with calories, rather than giving him/her a balanced, nutritive diet. Growth lost early in childhood requires specialised nutrition, in order to Catchup, but parents must ensure that adequate nutrition is provided so that catch up growth happens. A strong foundation is the backbone of a good edifice. Timely and adequate growth in children is vital for them to meet the demands of the challenges ahead. In the age of child prodigies and immense competition, every parent wants their children to be all rounders. But, for children to handle these demands, extra efforts and nutrition is required. Thankfully, Horlicks Growth+ has been designed and tested by experts, and is proven to increase height and weight in just 6 months. It's balanced nutritional supplement has been developed to optimise growth without causing obesity in children. It naturally contains essential amino acids and immunity boosting nutrients like Vitamin A, C and D along with high quality whey protein. What's more, the immunonutrients like Vitamins A, C and D, also support a healthy immune function. Available in two flavours, Vanilla and Chocolate, your kid will love this cup of nutrition anytime!